I was given a number of card-mounted photographs by the nephew of the photographer, who was Colin Clark, of Wragby. When he died, apparently there were many of these pictures, so I do not know how many survived. To my mind, these are brilliant photos and really evocative of the time. I do not know what recognition Colin Clark got at the time, but they are a great tribute to his skill. I have scanned them, and cleaned up scratches and marks, and here’s one as a taster. The sample image is of Jacky Beeton on a Norton outfit (the only rider who appears on two images) at Cadwell Park. 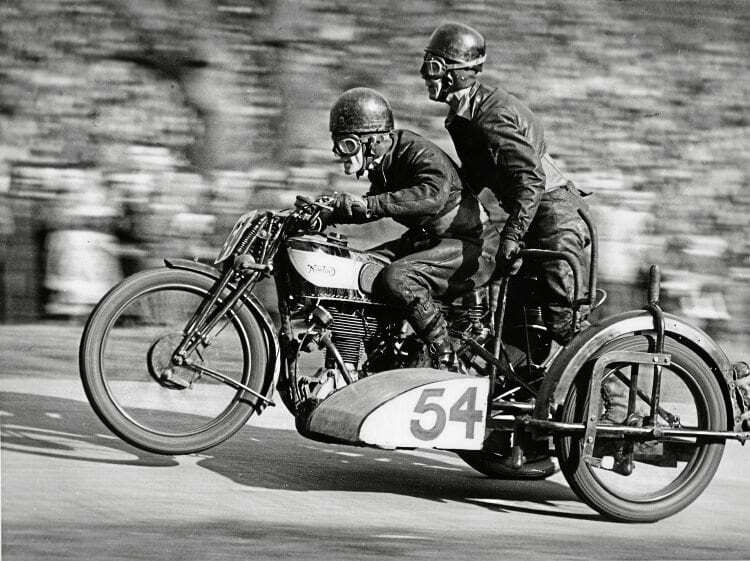 I believe the Cadwell pictures were taken around 1948 to 1950. Read more Letetrs, Opinion, Reviews, News and Features in the January 2019 issue of OBM – on sale now!